Ravenpaw. From my Deviantart -. 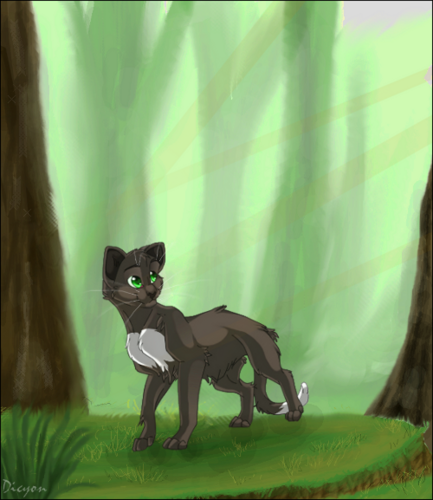 Wallpaper and background images in the Warriors (Novel Series) club tagged: warrior cat cats ravenpaw fantart by dicyon. This Warriors (Novel Series) fan art might contain چہواہوا and چاہوہوا. thats awesome!! I want to sign myself into Deviant Art sooo bad! 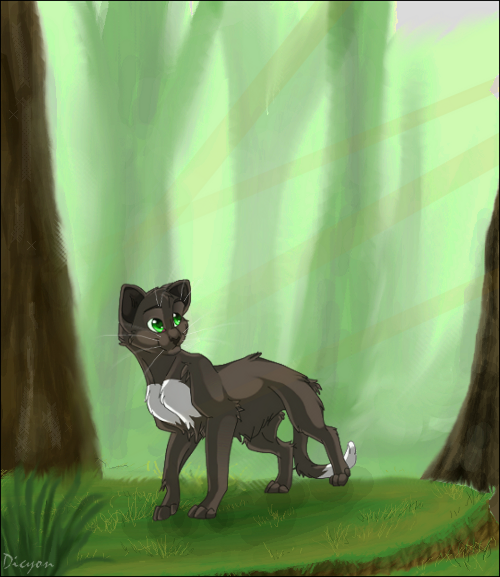 We all love our little Ravenpaw from ThunderClan. Who wouldn't love an oppressed kitten being tormented in his own mind daily, who is always in a life threatening situation? Pity always wins the fans.